Curator David Brodie introduces Geography of Somewhere in his catalogue essay: 'At the heart of this exhibition is a paradox: the work it brings together may be understood as coming from the city, but it is not of the city. The selected artists draw aspects of their vocabularies from conditions of the urban, yet their works are not simply descriptive. There is an articulate formalism present in their practices that understands the city as a headspace rather than a language. Their ways of seeing ask that we set aside our access to such space through geography or topography, and look to the city as metaphor. In so doing, they offer us a tangential, poetic link to the experience of the city, a kind of musical score. 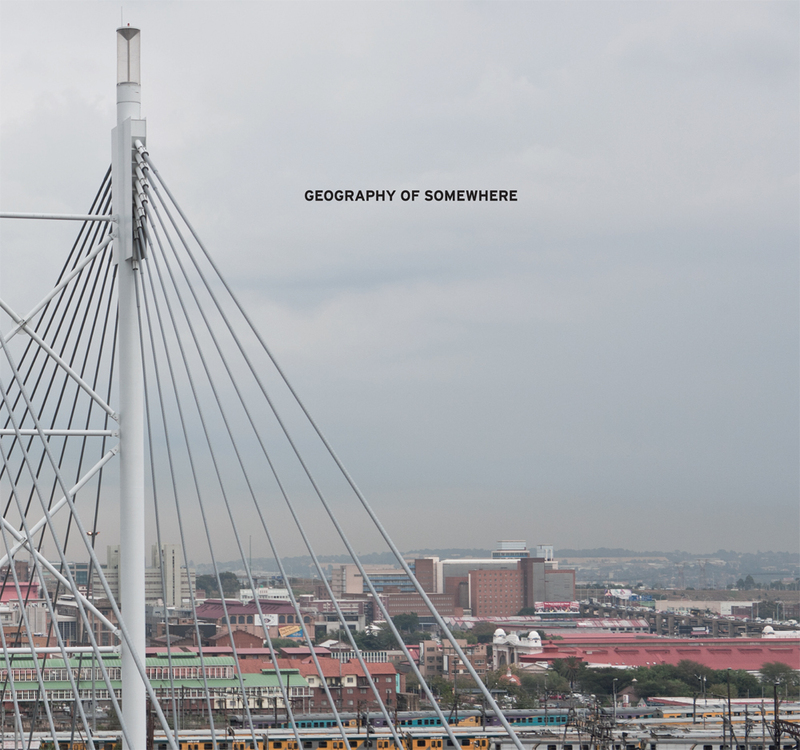 ...' Geography of Somewhere posits the works of a loose grouping of younger artists - Zander Blom, Dineo Seshee Bopape, Gerald Machona, Nare Mokgotho and Serge Alain Nitegeka - as a counterpoint to those of Ângela Ferreira, Meschac Gaba and Odili Donald Odita. Installation views of the works are accompanied by texts ranging from song lyrics (in the case of Blom) to excerpts from Reserve Bank statements (Machona).